We all love denim and today is the day when I want to share with you my favorite ways how to wear denim skirts in real life. 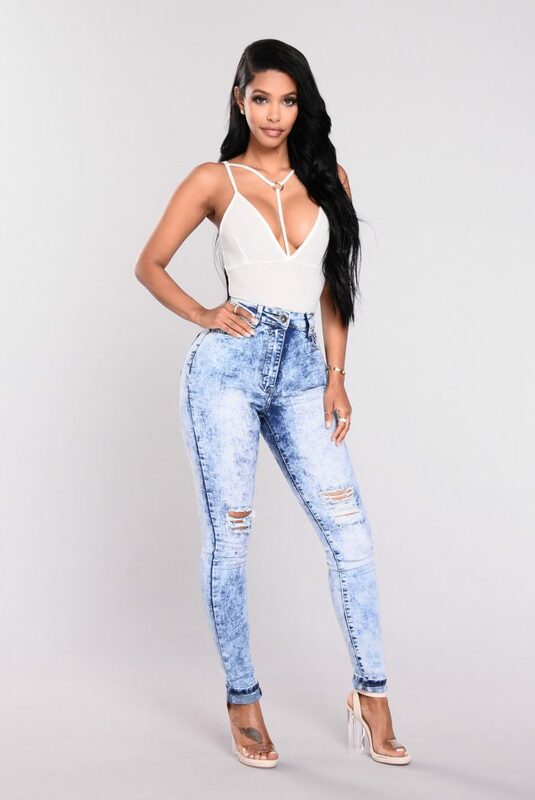 I am about to show you inspiring outfit ideas of women who appear on the streets wearing denim skirts in different length and style. Thanks to the latest fashion trends, we see a refreshed comeback of this staple. Retailers offer us the same amount of ease and comfort with a variety of styles. I am sure, it will make any casual outfit look a little bit more polished and fresh. 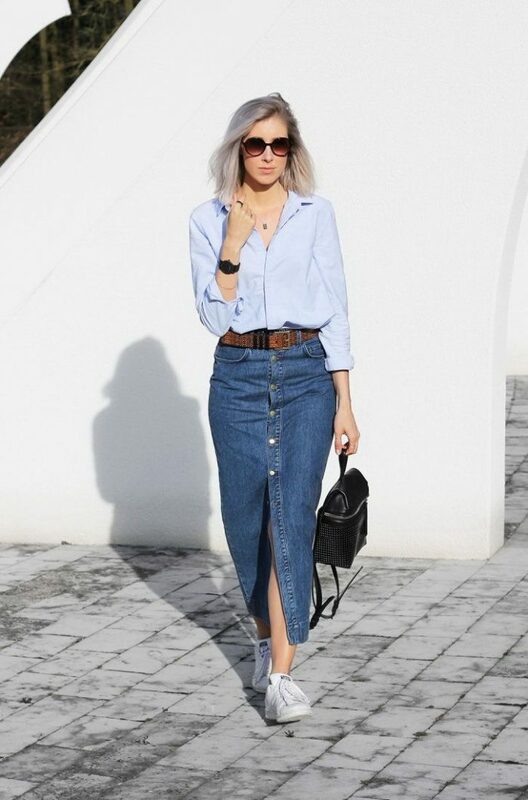 A lovely sky blue shirt is tucked in a high-waisted front-buttoned midi pencil denim skirt. Complete this combo with a pair of white sneakers and gradient rounded sunglasses.